Grier School is a boarding and day school for girls in grades 7 -12, located in beautiful Central Pennsylvania. Our 300 students enjoy a well-rounded education in academics, the arts and athletics. Grier’s Visual Art Department offers endless opportunities and intensive preparation as students build their portfolios. Professional choreographers and visiting artists compliment Grier School’s impressive facilities and busy performance calendar. At Grier, opportunities to develop as musicians include private instruction, individual and ensemble performances, and academic classes. Grier School Stables offers riders unsurpassed facilities, professional trainers, great horses, and competitive showing opportunities. With classes as small as 4 and no bigger than 14, our small classes, passionate teachers, and hands-on experiences engage students in all facets of their learning. 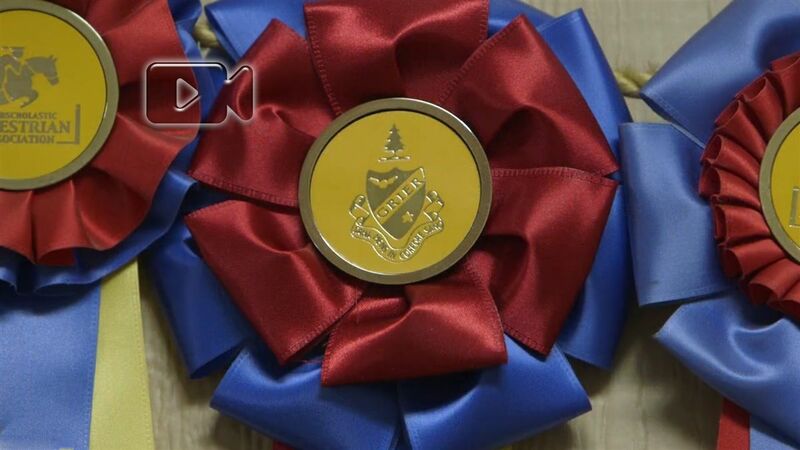 At Grier, 85% of students board and represent greater than 15 countries and 20 states each year. Diverse academic offerings and signature programs attract a wide variety of students, fostering a global mindset and a cultural richness in campus life. 60% of Grier's teachers possess advanced degrees reflecting both the craft of teaching and subject-specific knowledge. Through faculty enrichment funds, Grier faculty continue to grow professionally. Our team of 22 Resident Advisors supervise and support 11 dormitories and cottages. These smaller communities coupled with the robust schedule of weekend activities enrich girls' experiences and build strong relationships. The wide variety of AP courses provides opportunities for students to experience college level classes, fostering in students critical thinking, academic perseverance, and a breadth and depth of knowledge in all academic departments. Colleges award large sums of scholarships and aid to our graduates. Grier boasts a 100% college acceptance rate, with many of our students accepted into the nation's top 50 ranked universities. Grier girls give back in impressive ways. Grier strives to offer community service activities that benefit both our school community and surrounding communities through an average of 14 events each month. Grier students have the opportunity to explore new interests and learn to embrace a balanced life through extracurricular activities that include recreational sports, varsity teams, dance classes, and music ensembles. 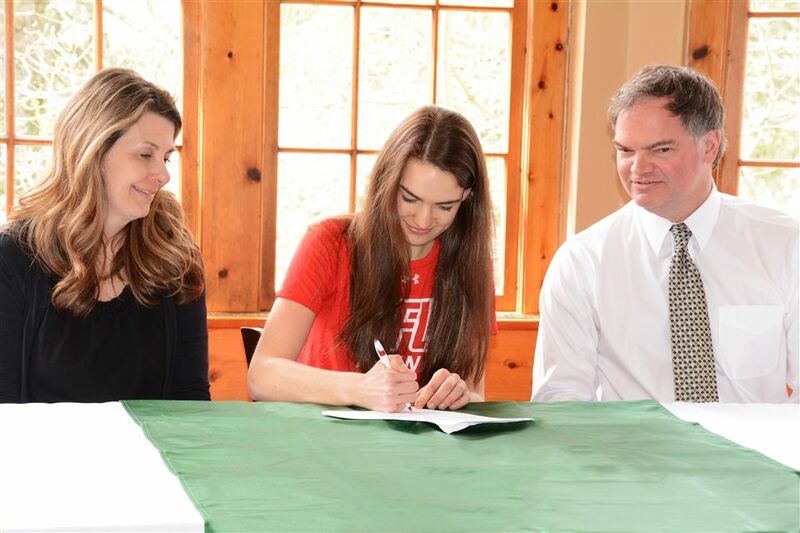 Congratulations to Grier senior Kristen L. who, with her parents at her side, signed her letter of intent to play NCAA Division I tennis at Saint Francis University. Kristen has been Grier’s number one starter player during each of her four years at Grier and has a long list of accolades that include being undefeated in singles for the past two years, two-time membership on the Altoona Mirror’s all-star first team, and eighth ranked by the Middle States U-16 US Tennis Association! Kristen excels on the tennis court, as well as, in the classroom where she takes high level courses offered in Grier’s Elite Scholars Program. She is a member of the National Honor Society, French Language Honor Society, and welcomes new students through her service as a Grier Ambassador. Kristen would like to become a doctor one day, so she plans to major in pre-med biology and minor in business analytics. Students in Grier’s AP Art Portfolio class took a weekend trip to Pittsburgh where they visited several museums and enjoyed some of the city’s attractions. The group visited the Andy Warhol museum, which is home to the largest collection of Warhol art in the world. While on the North Side of Pittsburgh, they also visited the Mattress Factory, which is a contemporary art museum featuring room-sized installations by in-residence artists. Plus, the group made a stop at the colorful folk art house called Randyland. 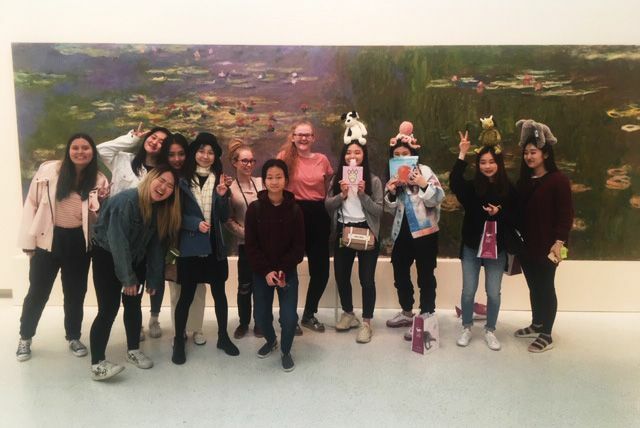 Near the University of Pittsburgh in the Oakland neighborhood, the group visited the Carnegie Museum of Art, home to a variety of fine art, and the Phipps Conservatory where American Artist Dale Chihuly’s glass sculptures are integrated into the garden exhibits. These students and their teachers also enjoyed ascending Mount Washington on the incline for a scenic nighttime view of the city. Grier’s Music Department organized a special mini-concert on Sunday, April 7th in the Instrumental Music Building. 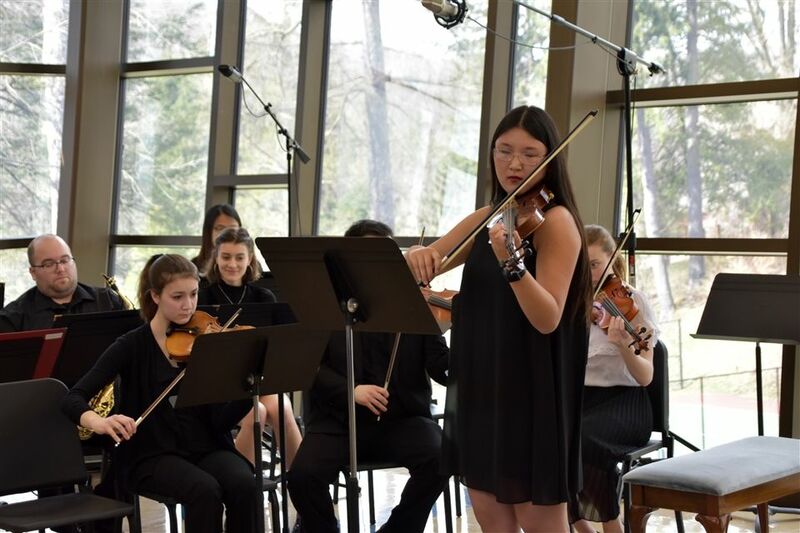 The concert included three pieces that featured soloists accompanied by an 18-piece orchestra of student and faculty musicians. Next, Grier senior Michelle S. performed a violin solo of Tchaikovsky’s Violin Concerto in D Major, Op. 35, Mov. 2 “Canzonetta,” while accompanied by an 18-piece orchestra. 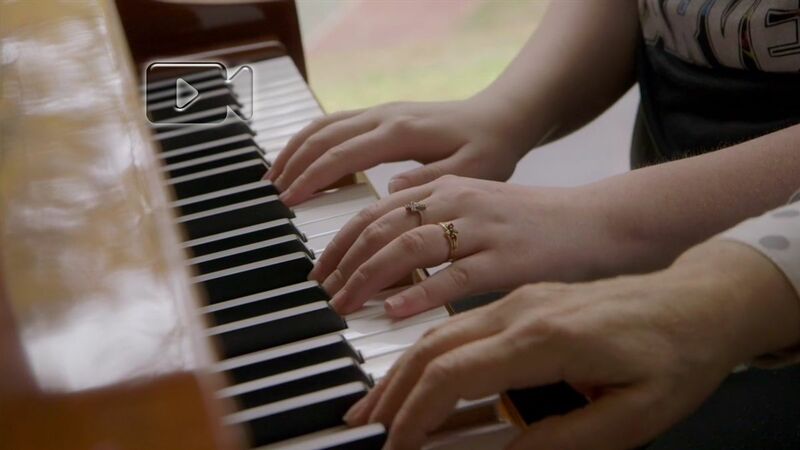 For the final piece, Beethoven’s Piano Concerto No. 1 in C Major, Op.15, Mov.1 “Allegro co brio,” Clara G. performed a piano solo accompanied by the orchestra. 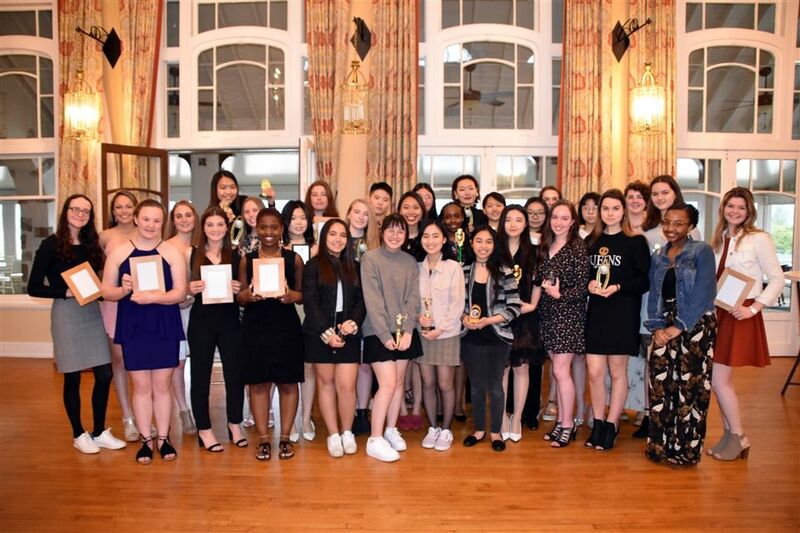 Grier students who participated in varsity sports during the spring season enjoyed a banquet in their honor held at the Blairmont Country Club in Altoona. Sports represented during this banquet included: Archery, Basketball, Cross-Country, Fencing, Hunt Seat and Western Riding, Soccer, Tennis, and Volleyball. During the banquet, coaches from each team presented awards to students. Grier Athletic Director Cherie Gates thanked the coaches for their hard work and the athletes for a great season. Ms. Cherie was responsible for organizing the event, including the decorations and producing a slide show of highlights featuring the athletes at their best. With this scholarship, Lauren will have the opportunity to study abroad during her undergraduate college career at Juniata. While attending Grier, Lauren has taken upper level Spanish from Señorita Leen. 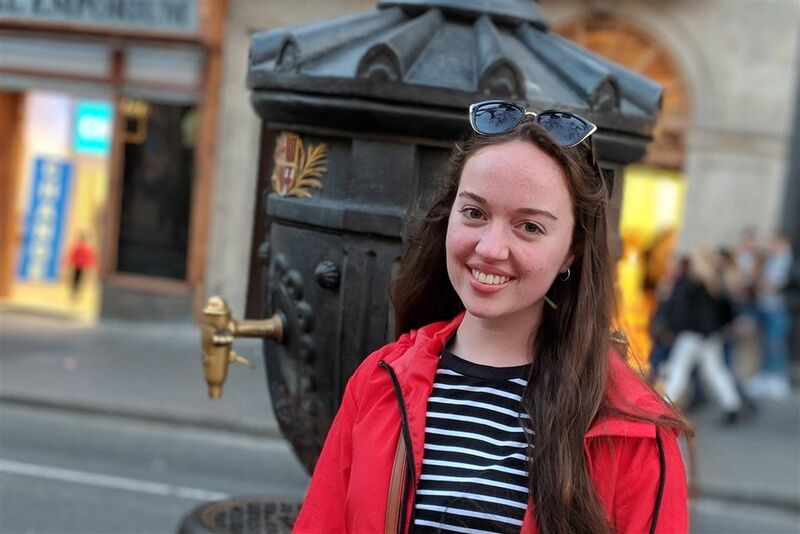 Lauren plans to study abroad in a Hispanic country yet to be decided; however, while in Barcelona, Spain, she did drink from the Font de Canaletes, so legend has it that she’s bound to return to Barcelona one day. Enhorabuena, Lauren! 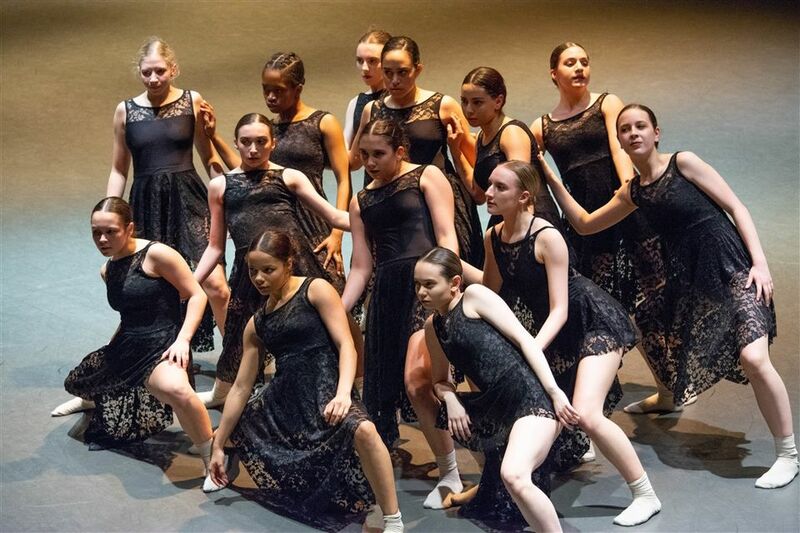 On Friday, April 5th, the Grier community gathered to watch Grier dancers in their Spring Performances.The show was a stunnning exhibit of twenty-two pieces reflecting the variety of dance styles taught at Grier. Dancers of all abilities participated in hip-hop, jazz, ballet, modern, contemporary, and tap. Several numbers featured choreography developed by guest instructors and choreographers like Melissa Rector, Mike Esperanza, Kiesha Lalama, Jason McDole, Joshua Manchulich, and Rob Priore, along with our Grier dance instructors Jocelyn Hrzic, Danielle Bower, and Emmalee Hallinan, and the Pre-Professional class. Dance Director Joci Hrzic opened the performance with special words of praise for her dancers, especially how they were able to step up and fill in when key pre-professional dancer Alexa sprained her ankle just days earlier. Although certainly disappointed at not being able to dance in the Spring show, Alexa offered support and encouragement to her fellow dancers. We look forward to seeing Alexa and the other senior dancers perform again for graduation in May.